"Hey Upper East Siders. Gossip Girl here. And I have the biggest news ever." From the CW's Gossip Girl comes a stylized vinyl figure of Nate Archibald! 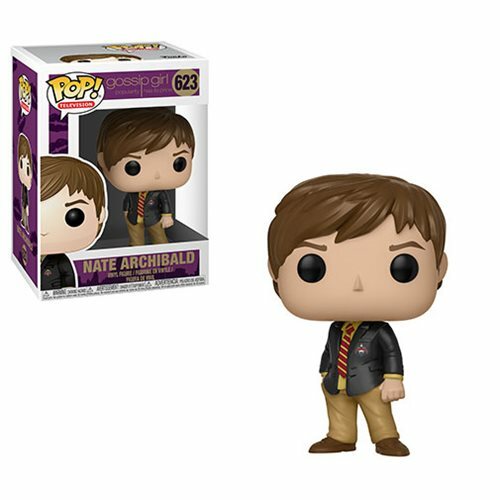 This Gossip Girl Nate Archibald Pop! Vinyl Figure measures approximately 3 3/4-inches tall. Comes packaged in a window display box. Ages 3 and up.